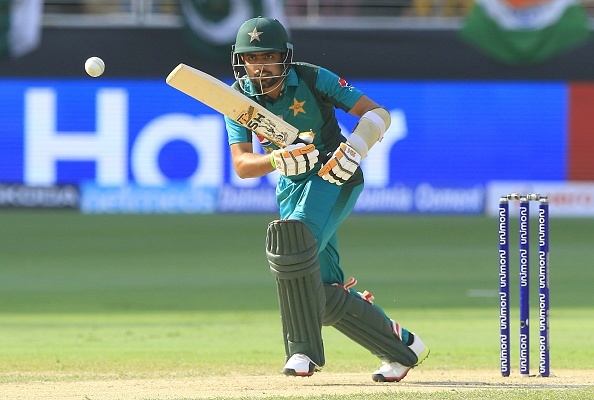 Babar Azam became the fastest batsman to notch up 1000 Twenty20 international runs as Pakistan scored 166-3 in the third and final match against New Zealand in Dubai on Sunday (November 4). When Babar reached 48 he completed the milestone in just 26 innings, beating the previous record set by India’s Virat Kohli who reached 1,000 runs in 27 Twenty20 innings. Azam finished with a 58-ball 79 (7 boundaries and 2 sixes) while Mohammad Hafeez scored a 34-ball 53 after Pakistan won the toss and opted to bat first. In reply, the Kiwis did not even last 20 overs as they were bundled out for 119 runs in 16.5 overs. This was not for the first time Azam has spoken about Kohli’s influence in his game. “I do not just copy Virat Kohli, but I really follow him. I dream of becoming like him. Some people compare me with Virat, while there’s no comparison as I am just in the beginning. I feel that I cannot be just like him, but it can be closer to his instinct of playing,” Babar Azam had said in an interview earlier this year. Babar Azam has been in fine form in the shortest format of the game lately. He recorded the scores of 68*, 45 and 50 in Pakistan’s 3-0 T20I series victory over Australia recently and followed it with the scores of 7, 40 and 79 against New Zealand as Pakistan continued to dominate in the shortest format.